The Middlesex County Adult Substance Abuse Program (ASAP) is the first licensed program of its kind in the entire New Jersey Penal System. It is located in the Middlesex County Adult Correction Center on Rt. 130 N in North Brunswick. The program has been in existence since October 1, 2001. It has a men’s and women’s component. ASAP has over 800 graduates and a very favorable recidivism rate. The program is a 90 day voluntary program. ASAP’s counselors are from Rutgers University-formerly UMDNJ-UBHC. It also has an alumni group that meets the last Monday of every month. 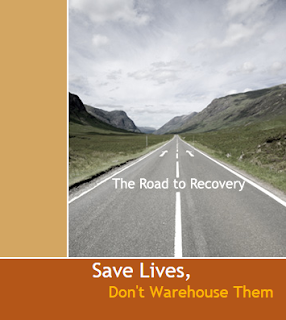 Through the ASAP counselors, members of ASAP learn the basic tools of recovery. There is group and individual counseling. Time in a county jail is made productive by having those who want to deal with their drug and alcohol dependency have that opportunity. Friends of ASAP is the policy making and fund raising arm of ASAP, and is a 501 (c) (3) charitable organization. Every donation to Friends of ASAP is tax deductible. The Board of the Friends of ASAP meets monthly and is comprised of people who have a personal or professional connection to substance abuse dependency, and all are dedicated to enhancing and expanding the services ASAP provides.